RED SPRINGS, N.C. (WTVD) -- Robeson County Sheriff Burnis Wilkins announced Tuesday that his cold-case unit has made a break in a case that happened nearly 17 years ago. Two people are charged in the 2002 murder of a Red Springs man. Wilkins said one suspect, Larkie Lowry, 61 of Oakgrove Church Road, Lumberton. was already behind bars. A second man, Jimmy Ray Oxendine, 51, of Bollinger Avenue in Lumberton surrendered to investigators around 3 p.m. Tuesday. Larkie Lowry, left, and Jimmy Ray Oxendine. Lowery and Oxendine are both charged with first-degree murder and felony conspiracy. They are being held in the Robeson County Detention Center without bond. They're both charged in the death of 44-year-old Ronnie Locklear, which happened Sept. 30, 2002, in the 1300 block of Dixie Road in Red Springs. Investigators found Locklear dead of gunshot wounds. The investigation revealed that Locklear was shot while standing in his front yard. The shots were fired from a wooded area across the road. Recently, the newly formed Cold Case Investigations Unit along with the Sheriff's Office Homicide Division reviewed the case in detail and several interviews were conducted. 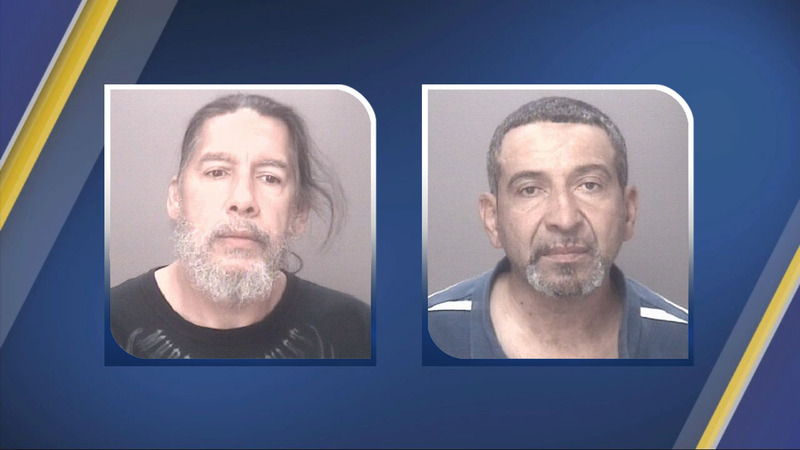 "While the arrest of the two suspects can't bring Mr. Locklear back, we wanted to bring closure to the friends and family that were devastated by his death," Wilkins said. "Our team will continue to investigate other unsolved cases in hopes of bringing closure to other families across Robeson County." Anyone with information about the case is asked to contact the Robeson County Sheriff's Office at (910) 671-3100.